Your Next Stamp Special Event Day! I chose to use Little Darling Daffodil today. I stamped her with Memento Tuxedo Black and colored with Copics. I cut the image out with an Oval Nestability and sponged some clouds. 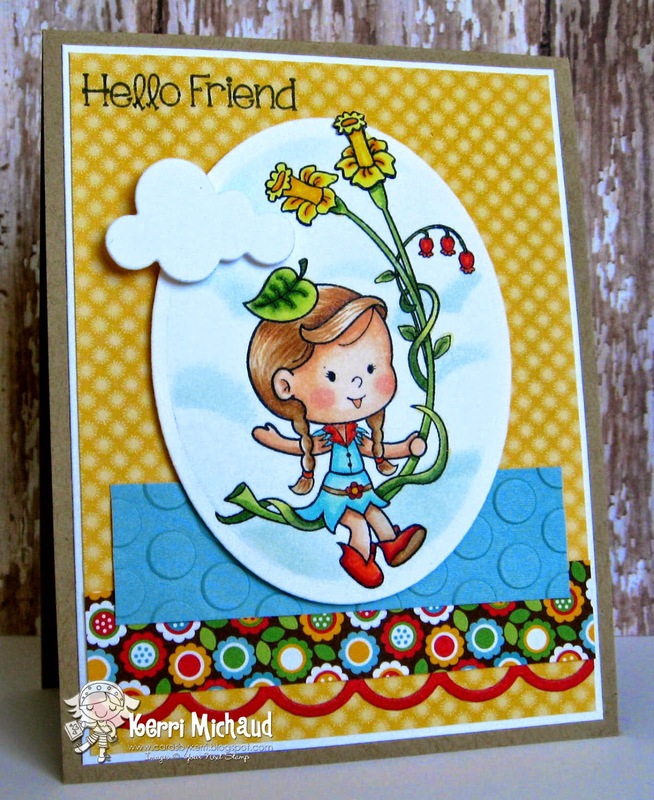 I stamped a sentiment from Smiley Happy Critter Crew Four and the dp I used is Doodlebug Day to Day. The HUGE Spring Cleaning Sale is almost over so make sure you take advantage of these amazing deals while you still can! Also, make sure you Like the YNS Facebook Page because once we reach 3,000 followers, Karen is giving away a huge prize pack! 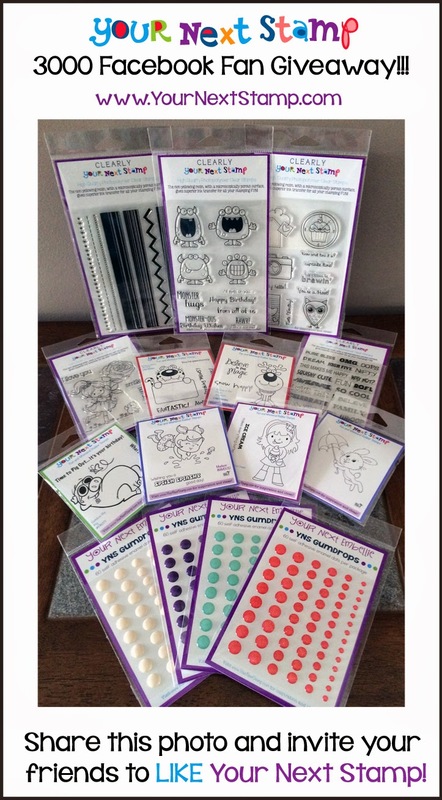 Now head on over to the Your Next Stamp Blog to see the rest of the DT creations, and make sure you leave a comment for your chance to win a Stamp Set of Choice! Thanks for stopping by and have a wonderful rest of your weekend!